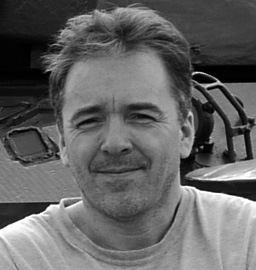 Tim Hall has had a long and varied career in the underground and independent press as a journalist, author, and as co-founder of the Outsider Writers Collective. He has collaborated with many illustrators and fine artists, including with Emmy Award winning artist Dean Haspiel on “The Last Mortician”, published by Tor.com in 2010. Tim grew up on Long Island, where his Bert Shambles mysteries are set. He lives in New York City. Tim is on tour with Great Escapes Virtual Book Tours with his new release, DEAD STOCK. Welcome Tim. What made you decide to make a 23 year old male the protagonist in a cozy series? And do you think cozy readers are ready for it? I mean your average older cozy reader has a 23 year old son and your average younger cozy reader has a 23 year boyfriend and they have our real lives in turmoil. Do you think it will be, can you make it, our go to choice for entertainment? I guess I’ve got a little contrarianism in me—I always wished there were more books set on Long Island, and when I was a young man I looked for a cozy series with a guy like me. I actually created Bert back in 1989, when I was 23, but never developed the character until I found some old typewritten pages in a box at my mom’s house a couple of years ago. I was instantly charmed by these early sketches, and knew I had to develop this character. The nice thing about Bert is that he’s a genuinely sweet person who’s trying so hard to do the right thing. He’s romantic and chivalrous, but unfortunately not very bright. I’m hoping cozy fans will fall in love with Bert for his big heart and slightly clueless ways. He also reconnects with Aria, an old classmate who was homely in high school but who has blossomed into a gorgeous young woman, who provides romantic tension as the story unfolds. I’ve been checking out things like Uplift The Postivicals and How America Died and your earlier novels. Isn’t a cozy a little, well, cozy and mainstream for you? I’ve always wanted to be a mainstream writer, I just felt driven to try a lot of other things first: journalism, poetry, experimental writing, comics and a lot of autobio fiction and personal essays. It’s given me a very big vocabulary for humor writing. The best storytellers to me have almost always been the most commercial, popular writers. I love obscure authors like Robert Walser and Anna Kavan, but I’d much rather read an old Travis McGee adventure or the latest Stephanie Plum. Most of all, I didn’t want to get stuck in the ghetto of artistic purity or literary perfectionism. That’s a death-trap. My goal has always been the same: to be a great storyteller and to give people joy, insight, or inspiration through my work. Have you been a cozy fan and if so, which one series first hooked you? I devoured Agatha Christie in grade school, and in my teens I started reading all the crime and mystery fiction I could get my hands on—Hammett, Chandler, Ellroy, Thompson, Tey, Grafton, Highsmith, Clark, you name it—but I was always drawn back to the gentler stories and characters. I don’t want Lawrence Block to kill me, but I think of his Burglar books as a cozy series—Bernie Rhodenbarr was the first series that really hooked me, or at least set me down the cozy path. P.G. Wodehouse was another huge influence on me. The relationship between Bert Shambles and his neighbor at the rooming-house, Aku The Mystic, was influenced to some extent by Jeeves and Wooster. When will TIED DIED be out and can you tell us anything about it? TIE DIED should be ready for release by Summer 2014. It picks up the story of Bert Shambles just a few weeks after the end of DEAD STOCK. Like the title implies, this time he gets involved with some hippie/Deadhead characters. Bert is hired by a young woman to help organize a huge stash of music memorabilia left to her by her late father, who was an aspiring flower-power musician in a band called the Peppermint Wristwatch. An aggressive memorabilia dealer who is trying to gain exclusive access to her dad’s collection winds up dead, and Bert becomes a suspect. If you were stranded on an island and could have only three books you would be rereading for the rest of your life, what would those three books be? Well, I hope one of the titles would be How To Get Off A Deserted Island For Dummies, or at least a good fish cookbook, but barring that, I’d probably choose The Complete Stories of John Cheever, The Library of America’s Crime Novels of the ‘30s and ‘40s collection or my Travis McGee omnibus, and The Sun Also Rises. I might also slip the stories of Grace Paley into the waistband of my boxer briefs, or a Dawn Powell novel or two. Three? That would be torture! Writing relaxes me—I have a demanding day job as a graphic artist, so I’m usually up by 5 am to write before I have to get ready for work. On days I don’t do that, like when I oversleep, I feel out of sorts. I also really like to cook, or in warm weather jog around Central Park to relax. I’m also taking up painting again. Also, I find that pacing in circles, talking to myself, and randomly freaking out over nothing is quite soothing sometimes. What is your favorite food? Creamed spinach. What is your favorite TV show? Antiques Roadshow. What is your favorite music? I like house/club/techno music, generally, or old progressive rock like Yes and Genesis. The Grateful Dead were pretty awesome too. Long, meandering instrumental pieces with a flowing rhythm seem to help my creativity. Thank you so much for being here today Tim, and good luck with the tour and your new book. Before you go, is there anything else you would like to tell your readers or have them know about you? Thank you for having me! People should never underestimate the power of a kind word or a good review. These are incredibly special for a writer, since we spend so much time separated from our loved ones and feeling disconnected from life. If you enjoy any part of DEAD STOCK, please let me or someone else know…it means a lot! Meet Bert Shambles, a perpetually confused young man whose life continually mirrors his surname. He is stuck back in his suburban Long Island hometown, enduring a three-year suspended sentence for an act of chivalry gone terribly wrong. He works part-time at a church thrift shop and makes extra money by selling “dead stock”—vintage clothes that have never been worn—to a local boutique. On a routine pick up for the thrift shop, Bert learns that the widow of a recently deceased pro golfer is offering a reward for the return of her dead husband’s favorite putter—and an even bigger reward for proof that her husband was murdered. Bert jumps at the chance, and soon finds himself being chased by a violent, van-driving maniac, romantically involved with a mobster’s daughter, and quite possibly being set up to take the fall by his probation officer and crazy ex-girlfriend. As the forces of good and evil close in around him, Bert must race to clear his name and discover the truth so he doesn’t wind up in prison…or worse. Filled with twists, turns, and unforgettable characters, and propelled by a truly lovable hero and wicked sense of humor, Dead Stock heralds the arrival of a wonderful new mystery series. 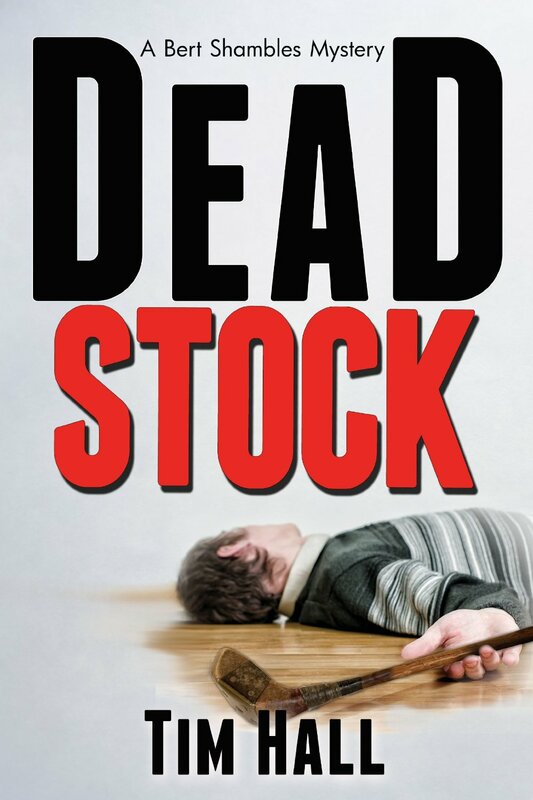 Tim is giving away an autographed, paperback copy of DEAD STOCK (US only) and to be entered to win just leave a comment below with your email. This sounds very interesting. Need to put this on my TBR list. Sounds good. I’d like to read you book. Sounds like a fun character and your next book has me intriqued! Good luck with your new book.